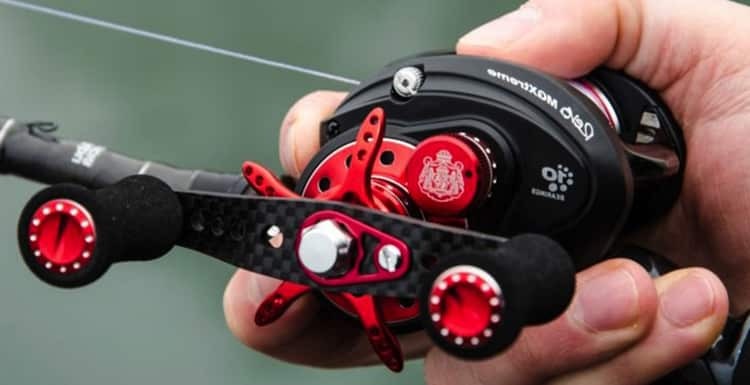 Baitcaster reel has made fishing an easy and convenient experience. It has made the use of heavier lines and heavier lures possible for anglers from beginners to seasoned people. But, it can turn out complicated and tricky if you do not acquire a proper knowledge of how to use a baitcaster reel. So, to help you rescue from such trouble, here we have come up with some guidelines that you can utilize to understand about a baitcaster reel and use it accurately. The models that are being introduced in the market recently have different cast control brakes and fiction cast control. Three different types of controls are available: pin, centrifugal brake, and magnetic brake kind. Many baitcasters have a combination of these controls. But your focus should be on choosing the baitcaster that feels comfortable in your hand, and you can have a good grip on it. Only then you would be able to use a baitcaster reel efficiently. Baicasting reels are commonly used for fishing lures that are heavier than a quarter ounce or less. For using lures lesser than a quarter ounce, you can carry a spincasting reel also. Take the rod, keep it a 90-degree angle, set the lure and reel until the lure is 6 to 12 inches from the rod tip. In this case, you have to hold the rod properly behind the reel and press thumb on reel spool. You should know what makes you more comfortable- using one hand or switching hands when you cast. If you do not want to press thumb on the spool, you can make a slight angle on the spool using your thumb too. The next step is to turning rods so that the handles should point up. Let the reel spool release. You can press do it by pressing thumb on it or making slight angle as mentioned above. The spool can be locked by dragging the little star located beside the handle, forward or backward. As said before, you have to make a right angle with your arms to proceed further. Bend your arm and make a crook of your arms to do so. Now, the tip should be going slightly past vertical to get a perfect position to send the line out. This is done as you raise your rod. After the rod is taken at a correct position, take it forward at 30 degrees above horizontal or 10 o’clock position. As soon as the positioning is done, release the spool to move the weight of the bait forward towards the target. When the bait meets the target, hold spool by pressing thumb again. You have to push it very firmly this time as that may lead to overrun. Before you start baitcasting in the water, we would recommend you to practice on the ground first and alone. There is a high chance of putting others and yourself in the complexity of baitcasters when it is done in crowds. Learning to enjoy by yourself should be your first and foremost objective. Hopefully, we have made you understand how to use a baitcaster reel. Similarly, we hope you would choose the right fishing reel before starting the job. Start fishing with your new baitcaster reel right away!